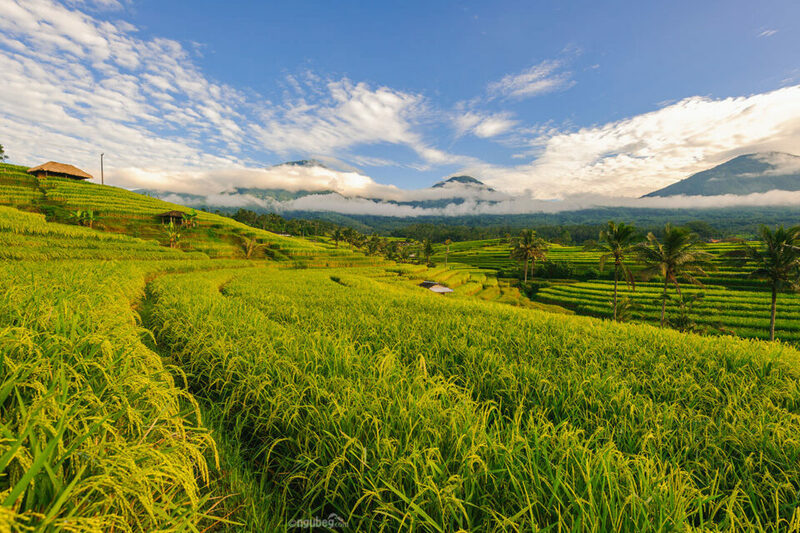 Directions: Jatiluwih is a village located in Tabanan, Bali. It will take one and a half hours to reach this place from Denpasar (Bali provincial capital city). There is lack of public transportation in Bali, but we can rent car or motorcycle from central city (with the driver - if needed). 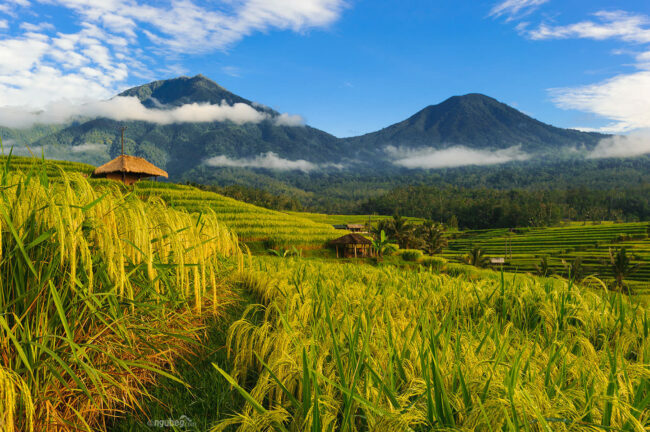 Jatiluwih village is famous for its paddy field terrace. It has a cool temperature, because it is located 700 meters above the sea level. 1. Morning is the best time to explore this place. 2. 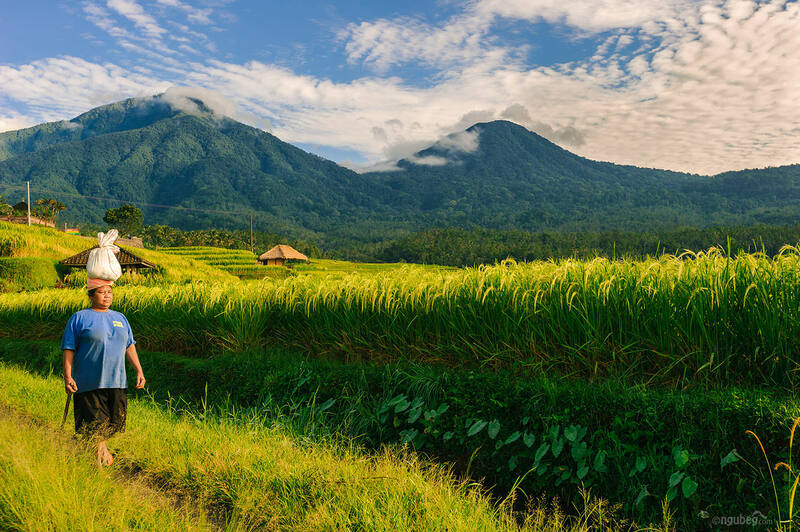 Drive motorcycle to save your time exploring this wide paddy terrace. 3. Trekking is also possible. 4. 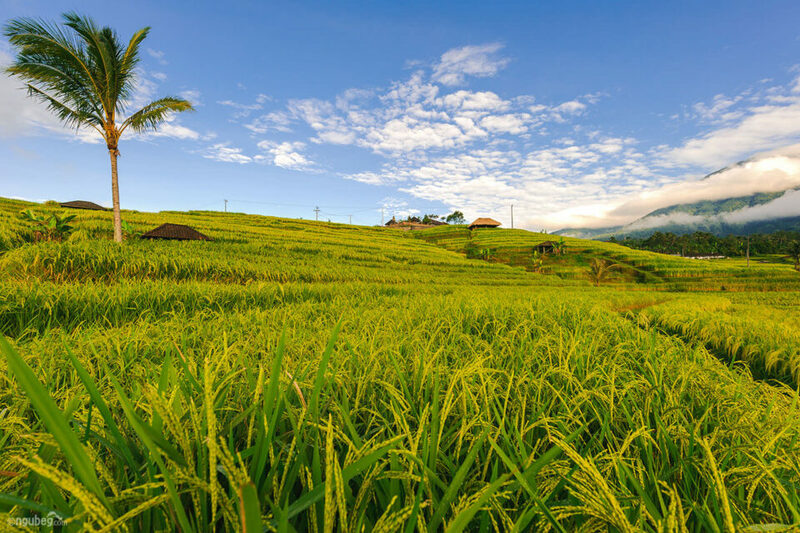 In my opinion, the best scenery of the paddy terrace is provided right before the harvest time. 1. Use wide to medium lens. 2. Graduated ND is needed because the sky is very bright after sunrise.